The definition of an “engaged user” varies from product to product. For a to-do app an engaged user should be logging in every day to add and complete items whereas for an invoicing app an engaged user might only log in once per month. There is no consistent quantifiable definition of engagement across different products. 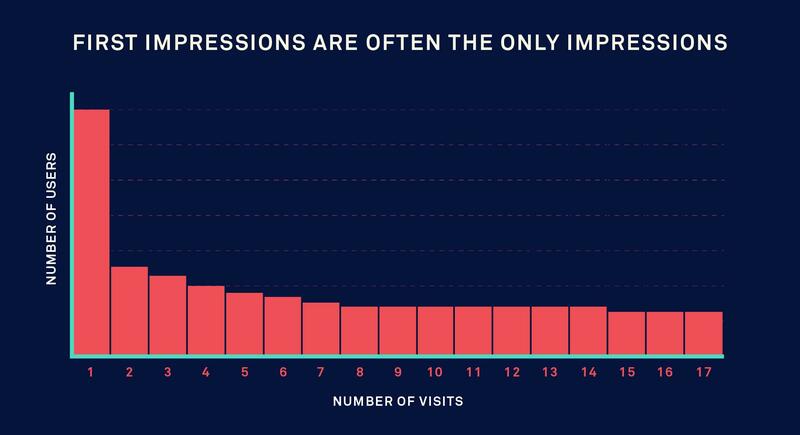 Unlike pageviews, visitors, returning visitors and conversions, there’s also no analytics app that can instantly tell you what you need to know. But ignore engagement at your peril. Just ask Snapchat. Their $20 billion valuation was largely built around almost a whole generation of people signing into their product multiple times every day. Customer engagement is just one piece of the puzzle, but it is so frequently ignored that there’s lots of quick wins to be had. Here’s 4 strategies to increase customer engagement. Every day a potential customer is seeing your interface for the very first time. This can be forgotten within teams that are always designing for themselves. The first screen your users see has 3 important jobs. Explain how your product works. Motivate your users to get started. Let your users know how to get help, if and when they need it. Products that do none of the above get the exact behaviour that they designed for. The user will log out and most likely never return. There are lots of great ways to welcome a new signup to your product and show them around. There are blank slates, tutorials, dummy data, etc. A simple first step that we encourage Intercom customers to do is to send a welcome message to greet each new signup personally. This works great for starting conversations, which in turn increases conversions. All of the data we have says that in-app welcome messages are more likely to be read, clicked on, and responded to, which is why we encourage our customers to send them. Some people will just respond with “Thanks”. Others will ask how to set up a welcome message, ask questions or spot bugs. Simply communicating with your users is a great way to encourage them to ask questions, try out features, and stick around. By starting a dialogue they’re far more likely to say things like “How can I email inactive users?” or “How should I use tags?”. At best you’ll win yourself more customers, and at worst you learn what’s missing or misunderstood in your product. Every worthwhile product has features that aren’t immediately apparent or useful. These can include quick-wins such as email notifications and alerts, third-party integrations, export features and keyboard shortcuts. These deeper benefits can’t be called out immediately. After all, who cares about data export before they have data, or keyboard shortcuts before they’ve used any features? Most product owners tend to try to expose these features either through badly timed email blasts, documentation, or an FAQ. None of these approaches work well. Emails arrive out of context, out of time, and are more likely to interrupt a user than to interest them. Their response is to archive your message and stop reading future messages. Leaving features explained and promoted in your FAQ or help sections means their only chance of exposure is when a user has experienced an issue with a part of your product. This isn’t the ideal time to distract them with other features. We advise our customers to create message schedules to gradually promote certain features. When you have good insight into your userbase you can work out which secondary features delight users and at what point they’re useful. Once you’ve done that it’s just a matter of timely communication. 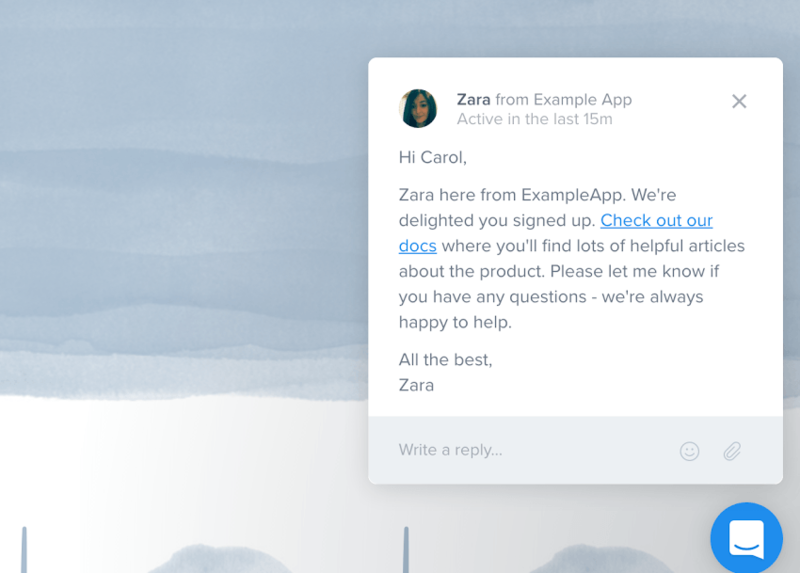 Intercom lets you send a series of email, push and in-app auto messages to people, based on their individual behavior. Each message in the campaign drives people toward a common goal. Always end each message by letting your customers know you’re there to help if they have any questions. This is key to getting feedback, which helps you tweak your customer engagement strategy. 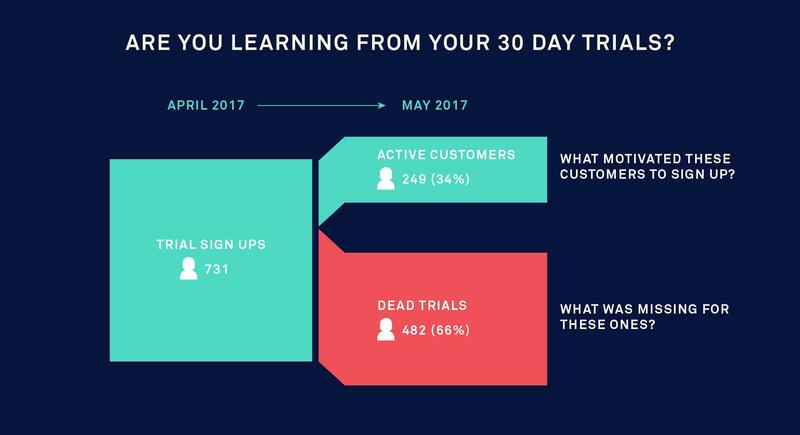 The only time your users care about new product features or improvements is when they’re using your product, so that’s exactly where you should be announcing them. In-app messages are up to ten times better than email at engaging your customers. 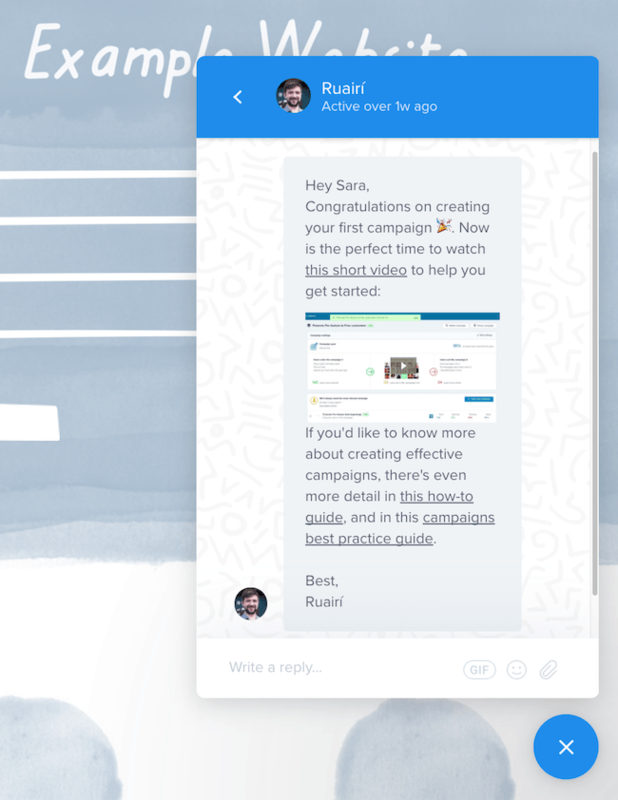 For example, when we launched our feature, Smart Campaigns, we announced the new feature to customers when they arrived in the messaging area of Intercom, via an in-app announcement. That message contained a video with a high-level overview of the feature and instructions to get started – people could click around, test it out and respond with any questions they had. It’s hard to imagine an email achieving a similar effect. Startups tend to fall into two categories: those that solve a problem people experience, and those that are nice to have or fun to use. Don Dodge famously labeled the two categories as vitamins and painkillers. If your product is a painkiller, then you can learn lots from your trial users. There are two types of users in your 30-day trial. There are tyre-kickers who might sign up after seeing some praise on Twitter or a link on Hacker News. They don’t have your problem, and are only here to have a quick look around at the solution you’ve created. These guys aren’t prospects, and will rarely have valuable feedback for you. Never listen to theoretical customers. Then there are signups who are genuinely interested in using your product, but need to be nudged towards success. If you are unsure what success looks like for each customers, you can simply ask them. This can be tough but Intercom allows you to create the logic and automate the messages. 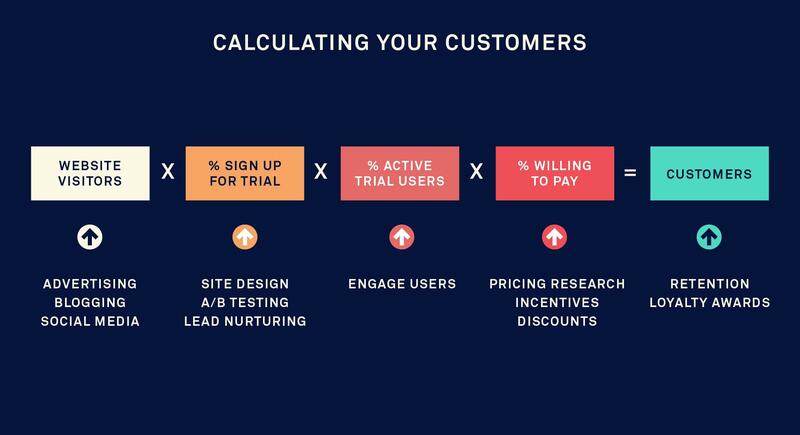 Check out this guide on how to message customers during free trials for more details. We’ve seen first hand the effect of these 4 simple steps towards engaging with your customers. Each of these messages takes no more than an hour and pays back many times over. And if you’d like to start sending some of these messages today, check out our Messaging Starter Kit for Customer Engagement.